A bases-loaded single in the ninth gives Eagles a win over Academy of Art. Baseball began their second home series in a row on Thursday with a 5-4 win against Academy of Art University, coming from a walk off in the ninth from senior third baseman Joey Magro. Academy of Art struck early with two runs in the top of the first inning. Biola responded with an RBI by senior left fielder Jerron Largusa, scoring sophomore center fielder Brandon Cody in the bottom half of the inning. Art U extended their lead, scoring one run in both the third and the fifth innings. 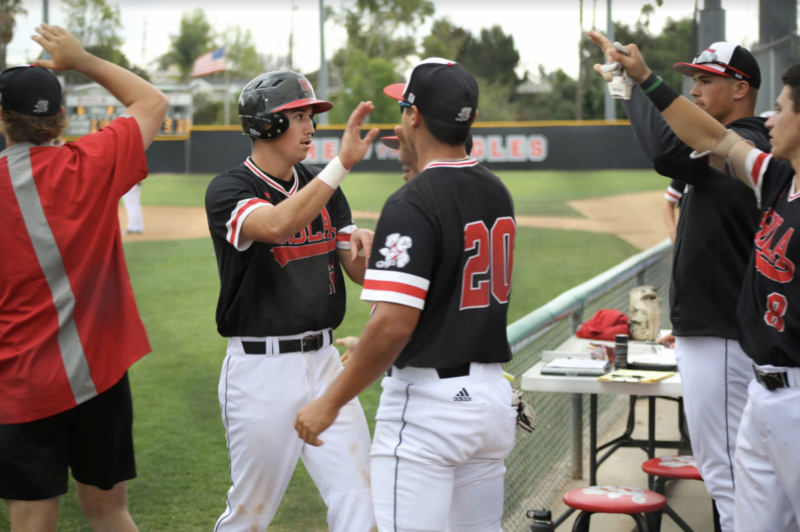 Biola came alive again in the bottom of the fifth when Magro doubled to center field, scoring freshman right fielder Miguel Abascal and freshman catcher Andrew Buglin. With the Eagles down by two runs going into the bottom of the ninth, Magro had the chance to step up again. With a single by junior designated hitter RJ Bates, a walk drawn by junior right fielder Andy Van Antwerp and a bunt by sophomore shortstop Connor Kostecka, the bases were loaded for Buglino to hit a sacrifice fly that scored freshman outfielder Tyler Beca, who pinch ran for Bates. Cody was intentionally walked, bringing up Magro with the bases loaded and Biola down by one. He knocked a single down the third base line, driving in two and ending the game. Magro explained that each game in the future is crucial to Biola’s standings in the division. Interim head coach Justin Duarte is looking to remain consistent through the remainder of the series. The Eagles will continue their four-game series against the Academy of Art with a doubleheader on Friday at 12 p.m. and 3 p.m.